If you recently bought your first home let me congratulate you. This is possibly the very best time to buy real estate that you’ll ever see in your lifetime. You made a smart move. And because you are a smart real estate investor, I know you’ll be interested in taking advantage of the following 3 ways young homeowners can save even more “moolah”. I owned a home warranty program for years and it was a waste of money. Of course it felt great not to have to worry about running into major unexpected expenses, but the cost just didn’t justify it. First of all, you are stuck with any repair person the home protection company sends out. Next, the deductible you have to pay is often pretty close to the amount you’d have to pay to a contractor of your own choosing. Last, when you do have a major repair, you are stuck (again) with whoever the company sends out unless you are willing to go through a great deal of red tape. You’re always responsible for upgrades, code changes and any problems associated with misuse or poor maintenance. I cancelled my home protection plan several years ago and it turned out to be a fantastic decision. If you follow my lead on this, you’ll save at least $600 a year. If you are a young homeowner you might have a young family or plan on having one. As a result, you definitely need life insurance. But when it comes to term life vs. whole life – play it smart. Term life is your best friend. It’s cheap and it does the job. It’s true that at some point (20 or 30 years down the road) your term insurance will expire. But by that time, you may not need life insurance anyway. Term life is so much cheaper than whole life that you can take that savings and invest it. This way probably you’ll have much more than the whole life promises. One of the biggest problems with whole life (and I feel it’s criminal) is that agents sell you the whole life you can afford because it pays them a whole lot more commission. (Maybe that’s why they call it “whole” life.) And because it buys a great deal less insurance than term, people end up dangerously under-insured. You could save several thousands of dollars each year and have better coverage just by having term instead of whole life insurance. Look into this ASAP. Because you are a young homeowner, you’ll be using your credit for a very long time. And you might have to lean on that plastic a lot right now to pay for all that new furniture and appliances. If you able to get even a slightly better credit score, you might end up savings a bundle every month. That’s because a higher credit score will help you get lower interest rates on credit cards and mortgages. Find out what your score is and make sure there are no errors. If there are mistakes, fix them. You can easily do most of this without paying a cent. You can even get your credit score for free and sign up for services that provide updates whenever there is a change to your rating. This has helped me a great deal. As a young homeowner you might be facing some pretty hefty expenses and that can be daunting. Take these 3 steps. Dump the home protection plan. Get rid of your whole life insurance and buy term instead. 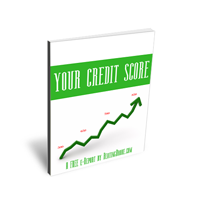 Finally make sure your credit score is as high as possible. Will you save $3745? I don’t know. You could save a lot more. You’ll never know until you start taking action. What are the biggest expenses you face as a young homeowner? What have you done to reduce those costs? This was a guest post written by Neal Frankle. He is a Certified Financial Planner ® and owns Wealth Pilgrim – a great personal finance blog. He writes extensively about ways to help people make smart financial decisions. One of his most in-depth posts was his review of CIT Bank.